Great product, tastes great! Also purchased breaded perch and like them very much. Looking forward to some Northern Pike. Delivered promptly, and the fish is excellent. Born and raised on Lake Erie I missed my walleye. Shipping is expensive. The fish arrived as scheduled and it was solidly and individually frozen. 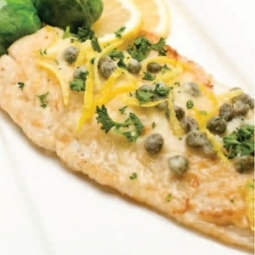 Very fresh, clean, easy to prepare and taste great, just like the fresh walleye we loved when we lived in Minneapolis. Will definitely order again. Am a repeat customer of this product. Good quality and taste. Better than walleye fillets I have purchased from other sources. We have had several shipments walleye all good quality and good service. Arrived on time, well packed in an insulated box. We had gone to our 1 local restaurant that was advertising that they had walleye, back on their menu. It was cooked in old oil,and served greasy. As a woman from Minnesota I was highly disgusted and disappointed. So we came home and made our second order from walleyedirect.com, I cooked some for dinner the next night, and we will only eat walleyes at home from now on! Ordered Sunday. Package arrived Friday. They were still frozen solid so good job. Superior quality. I couldn't do it better myself. Truly fine fish. I ordered skin-on but received skinless. excellent, just like having them for a shore lunch. The 22 lbs. of walleye arrive one day ahead of schedule and frozen solid. We have ordered a few other times and we’re always very satisfied with taste and quality! Best way to put walleye on the table in Nashville, TN. Eventhough it took the shipper 4 days to get to my home on Kauai Island, The fish was so well packaged with dry ice every filet was frozen solid. I have been ordering wallye from Wallye Direct ever since I relocated from Minnesota 25 years ago and have never been disappointed. Two or three times a year...always fantastic. Great service and they taste great. Will order again. 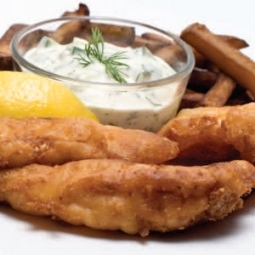 The walleye fillets are the very best that we have ever experienced; tender and mild. We use a very fine consistency breading product - Zatarans and the end result is perfection. There is no fish smell when cooking and the flavor is amazing. If you want the best, Walleye Direct is for you! This is the only place I trust to ship (to us) quality Walleye. I have ordered several times and never disappointed. We still had some in the freezer when the hurricane arrived in Florida. No POWER, no walleye could be saved. VERY SAD !!!!! Waiting for more , it is the best !!!!!!!!!! Delicious. Do they come any larger? Did a fish fry for my friends here in California with a product from my childhood which is difficult to find here. 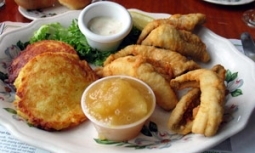 Rave reviews on both the walleye and perch fillets. Perfect size can't wait to try them as a fish taco soon. Nothing can compare to how this reminded me of home. Great eating . Couldn't be happier. They arrived frozen solid here in Florida and tasted like I just caught them myself.